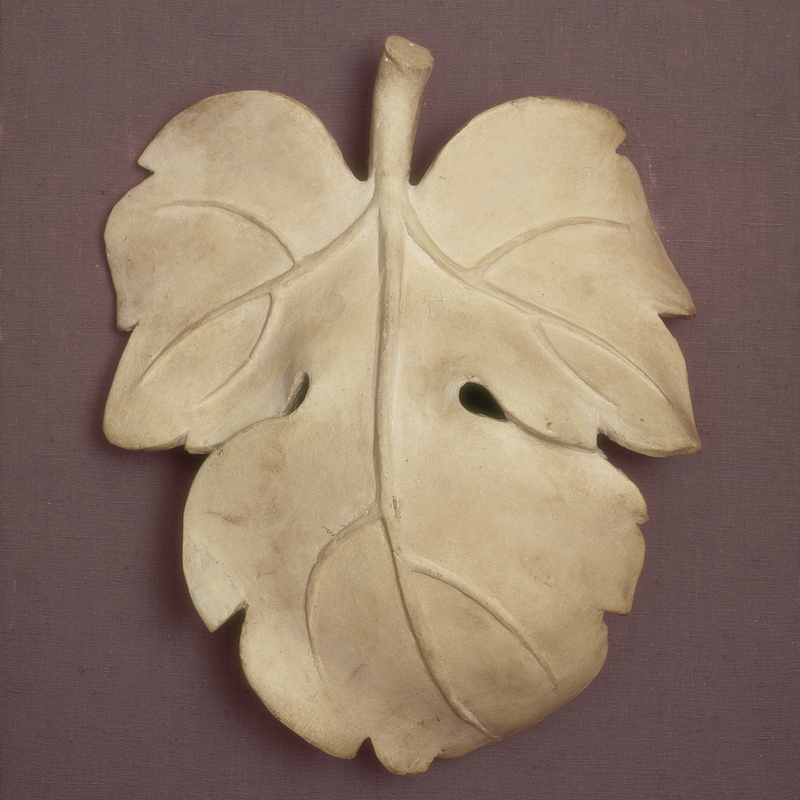 Big fig leaf… Ninfeo Mio by Annick Gouttal The Perfumed Dandy’s Sunday Scented Letter | The Perfumed Dandy. Forget the perfume, I loved the history!! Queen Mary was quite something, I’ve always thought. And how she never buckled under the weight of a bosom laid down with the Titanic in jewel form, I’ll never know. But I’m going to have to ponder for a while if she was the most cultured royal that the British have ever imported. Ah, wait, you said into the *modern* royal family. That, I grant you, yes. Speaking of Dowager consorts, one day, my dear Beau, you and I are going to have to have a chat about the late Queen Mother. I shall try to take a valium beforehand to remain as politely restrained about her as possible…. The Dandy it must be said has something of a soft spot for ‘Princess May’, a woman who history treats somewhat harshly on account of her somewhat imperious looks. Yes, most definitely of the modern period, We have had large number of cultured Kings and Queens, home grown and imported going further back. Indeed I was at the theatre last night for a production of Marlowe’s Edward II, a man who, in part because of this great play, will be remembered for his weakness and sexual proclivities though in fact he was a learned man and magnificent patron of the arts. As for Elizabeth Bowes-Lyon. Well. Firstly I think May would have shared some of your misgivings, she had personally take charge of our current Queen’s education and some very important matters relating to the succession. Moreover, I have a number acquaintances who worked on ‘access all areas’ documentaries on the late Queen Mother… very interesting tales they have to tell. Nut let’s not forget entirely about the scent, for it is rather splendid in a silkily flirtatious sort of way. 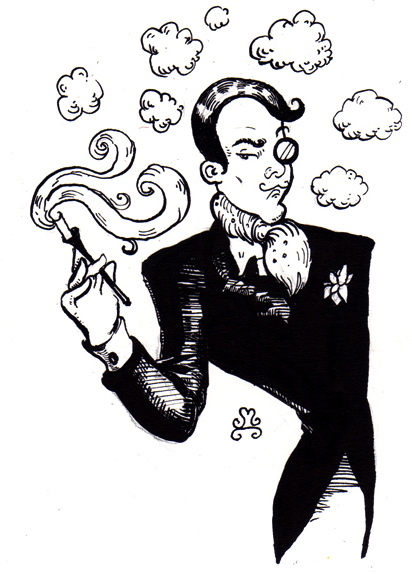 Oh, feel free to talk of history whenever the whim takes you… it is after all one of the closest things The Dandy has to a profession. All your examples of historical figures ill served by literature are well observed. Though sometimes historians and translators must answer for their part anno domini character assassination. Shakepeare after all drew heavily on North’s Plutarch fo his understanding of the Ancient World. Edward VII is remembered for his affairs of the bedroom than state, though arguably he managed the monarchy effectively out of politics and into ceremony. Anne Boleyn, I’m not so sure, she has a very good reputation I feel, and much deserved too… now there was a woman of culture. Unlike Queen Anne regnant, a true fascination… the last sovereign to rule not reign, the last to believe in the divine right of kings the last to lay hand on the sick in the belief that she could cure them… a woman at the cusp of the Renaissance and Modern Worlds. Now, there you go, you have me at it. As to the perfume, the thing is the coconut is not there at all. It is a sleight of hand, an implication along the spectrum toward an almond like aroma. And the most peculiar thing matched with fig and galbanum it is quite magical. Insubstantial? Heavens no, This lasts and projects like a Wagner opera on The Dandy. I have never smelled Ninfeo Mio but I have heard only good things about it. Your review is so much more than a review- but a vignette of Royal history, with illustrations that are so vivid that they remain with me long after I have finished reading. I got as far as petit grain and galbanum and I was hooked. Another one of my favourite perfumes. I love Ninfeo Mio and I remember the look of slight shock on an American cousin’s face when one day I got into his car having just sprayed on Ninfeo Mio! It’s definitely a surprise to anywone used to clean florals! It’s always so interesting to hear your perspective on a well-known perfume, and I know what you mean about its bodily, earthy nature juxtaposed with innocence. I find it mostly innocent in a grounded sort of way, because it reminds me of playing amongst trees and bushes as a girl. There’s something about that blackcurrant leaf note (not sure if it’s blackcurrant leaf, but it has a sharp slightly urinous scent) that reminds me of animal smells – a bit like the spraying of a wild cat in a verdant forest. But that part is quite subtle, I find it mostly richly citrus and woody. As you say the coconut is hardly there, and though I like it, I feel it doesn’t exactly blend. If only they had the fig accord used in Philosykos by Diptyque then I think this perfume would be perfect. Goutal really know what they’re doing with citrus notes don’t they? It also reminds me of tomato leaf – my Mum grew tomato plants, so again it’s a reminder of childhood outdoor games – a garden of Eden before shame was invented! Have you ever encountered the temples of Khajuraho in India in photos or real life? Victorian ladies weren’t allowed to look at those either and they couldn’t cover the entire temple complex in a fig leaf so those ladies really missed out! I’ve run out of Ninfeo Mio but a paintings sale comes up soon which means my once-every-three-months perfume bonanza! Our tastes collide once more in the most splendid fashion. Undoubtedly there is that sense of freedom that comes with being able to play outdoors, unfettered by the ministrations of adults. I remember with joy the scant summertime restrictions on my meanderings ‘just make sure your back before it gets dark’…. I fear few children enjoy such liberty today. Now you mention it, there could be both blackcurrant and tomato leaves here, for two of my favourite scents Eau de Campagne and Balmain de Balmain are echoed in this treasure. As for the coconut, it’s not listed as a note, and I suspect it’s not actually there at all, just a trick effected by the interplay of the other off-kilter notes. Citrus notes and Goutal are horse and four together. Though others find Eau d’Hadrien simplistic I think it is everything that the plain awful D&G Light Blue should be but isn’t and that astringency that runs through a number of their scents, like a river of feral spray, so much the better say I. Now, I don;t recognise the name ‘Khajuraho’ but I have a feeling that a google search might reveal one of though splendidly garish priapic Hindu temples of which one reads so much… I shall forth to view on line what those Victorian ladies were prevented from seeing in the flesh! Too true, I’m amazed at how kids get shuttled to and from everywhere in cars these days, you hardly ever see them covered in mud either, pity! 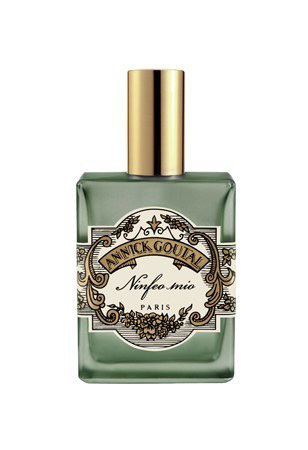 I love Annick Goutal’s fragrances. They’re not too thin or weak for me – or perhaps thin and gauzy is what I like to wear most of the time (I especially love wearing vintage eaux if they haven’t turned). I haven’t smelled Ninfeo Mio, but I look forward to it now. Interesting history discussion, too. It’s always a pleasure to read here, Mr. Dandy. The Dandy can’t pretend to be expert in all of Annick Goutal’s range, but Madragore and Ninfeo Mio seem neither scant nor sheer to me. Though there’s much to be said for thin and gauzy sometimes, a little like viewing life through smudged lenses. 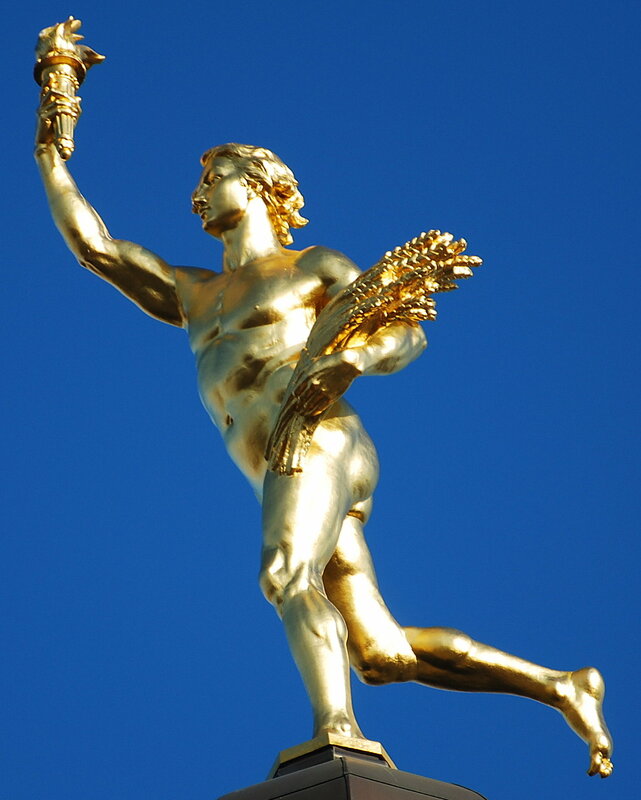 As you’ll recall I took a fancy to a few Aquas Allegoria this summer and as for older Eau de Colognes…. now don;t get me started. I was very surprised to like this scent so much especially at this time of year, though on reflection, I always feel that galbanum has an association with October or reasons I can;t quite fathom. I love green fragrances in winter! May Richard be buried in York, and may I experience this scent ASAP. Without wishing to upset anyone… but Leicester? For a King? Gardens in my mind today and storms upon the Heath (Hampstead that is) without. You’ve got to be a psychic, I just bought this on Thursday and wore this yesterday! It’s quite an interesting juxtaposition of citrus notes and fig. Juxtaposition is the word. Darkness and light, Good and bad and everything in between. It;s perfect perfume for stormy weather! Indeed, I had reports of such goings on from family members up on the Brecon Beacons last night… they are hardy souls well used to it though. I fear more for all us soft Southerners who become alarmed by anything more than a breeze! My my my my my! All of this and Heaven too. 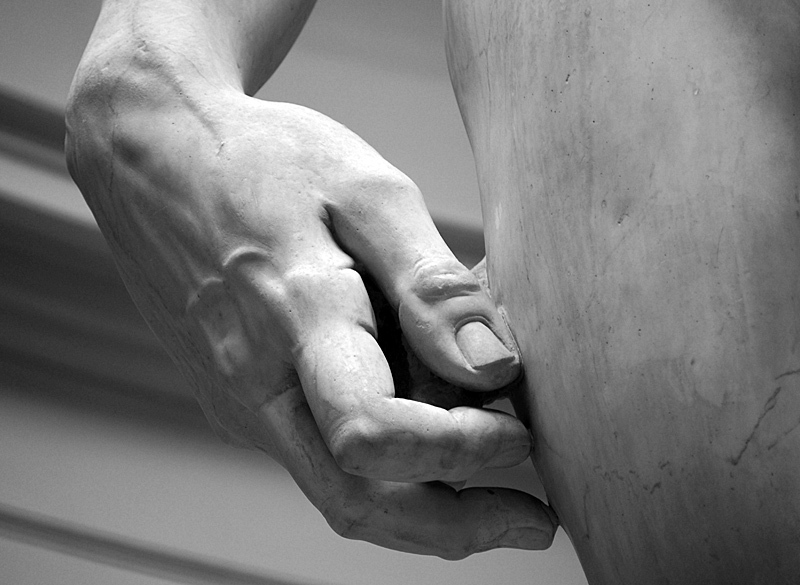 (The great Sandow) Now calm down Lanier…it is only a fig leaf. But my word I want to try it on myself… the perfume I mean. Oh! the more I yammer on the deeper the hole I dig! Suffice to say, I loved your review. So good to see you around these parts again. How apt that you should recognise ‘The Father of Modern Bodybuilding’… The Prussian David, perhaps. As to your innuendos sir, I’m British, they are as coals to Newcastle as we would say. Fascinated, and jealous, that you can see so much in this perfume. I have tried it many a time and though pleasing initially, find it too ‘blocked’ and two dimensional. I had never considered a more sculptured side. Interesting that you’ve tried it so many times… what brings you back to it I wonder? In a way I sort of understand what you mean about it’s apparent two dimensionality. Like the vast planes of colour in Matisse’s late paper cut out pictures. Yet those too, for me have a quality, like Elsworth Kelly or the Russian Suprematists (not Putin but Malevich & Co), that always strikes me as sculptural. My knowledge of art, and history for that matter, will never be equal to yours, but I do love the idea of there being more in this scent than I imagine there is. I think I want to like it more. I also love the opening, that slightly eye-squinting lemon/green thing, and think ooh I might need to get this. But then it always settles into something more ‘set’ or something and I get bored. I have had a few samples of it, so know it quite well now. The last time I tried it was when a friend came to stay, and I suddenly thought, hey actually, how about ninfeo mio, and she loved it, until it went into ‘that’ stage. To be honest, I find that with a lot of Goutal scents, much as I do like and admire the brand. But never mind the perfume.. I loved the review – such fun! You really are on a roll, the last few reviews have been top quality! It’s odd, this is not a scent, as I’ve mentioned I expected to like very much at all, but it just grabbed my by the lapels, it’s odd when that happens, but I always feel it’s best not to resist or ask too many questions in such situations. So glad you liked the tongue in cheek of the review too. I purchased Ninfeo Mio but don’t wear it too often. The note to me that makes it tenacious is Mastic or Lentisque as in Infusion d’Iris Prada. After my initial burst of huge enthusiasm, I can imagine that this will become one I turn to every now and again (though to be honest that fate awaits nearly every perfume in my wardrobe bar the merest handful). I had thought it might by mastic that gave it bite, through a process of elimination rather than an intimate knowledge of the note. Thank you for the tip off, I will now endeavour to make better acquaintance with the splendidly named Lentisque elsewhere. The Dandy is ever one looking to improve his education! Hell I just love this scent. Makes me a little drunk! Like your style Dandy man. Welcome to The Dandy’s. Sincere apologies for the late reply, I have been in something of a seasonal repose. Now, do make yourself at home, and might I remark on how much I like your avatar name. To combine Our Man of Brest with the director who brought him so unforgettably to the screen. As to Ninfeo Mio… it is as intoxicating as the saturated colours of Fassbinder’s profane visions. Hell I just love this scent! Makes me a little drunk though! Like your style Dandy man.